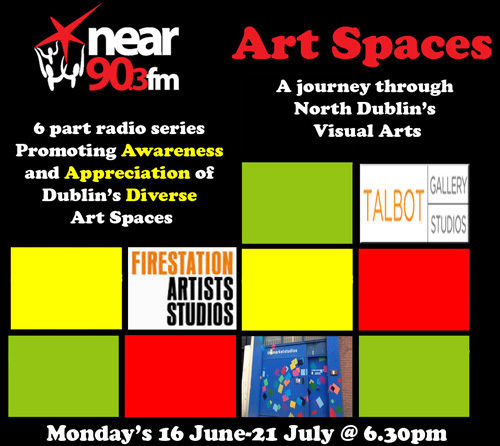 Art Spaces – a new six part radio series that explores six unique art spaces in the North of Dublin. Art Spaces is a new six part radio series produced for Near FM. The aim of the series is to promote awareness and an appreciation of the visual arts in North Dublin. It does so by examining the rich diversity and innovation in existence in the area, looking specifically at the varied arts establishments. Each week we examine a different space and discuss its formation. We consider the history, the struggles and challenges of each space. The goals they were established with, and how they have seen these goals through. We talk of plans for the future and speak to the artists in their studios and discuss the contribution made by the establishment, and how it benefits the artists. We look at the way the spaces nurture the arts, such as encouraging young artists via graduate programmes, as well as establishing strong unique ties within their communities. 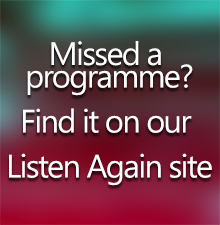 The first programme will be broadcast on Monday the 16th of June at 6.30pm. Featuring interviews with artists’ Alan Phelan, Jesse Jones, Maria McKinney, Dominic Thorpe, Miranda Driscoll, Deirdre Morrissey, Louise Marlborough, Sven Anderson, Paddy Graham, Francis Fay, Bernadette Beecher, Francis Quinn, Gillian Fitzpatrick, Neil Carroll, musician Gavin Prior, Rob McGlade and Andrew Doyle (Fathers of Western Thought), Olive Barrett, Linda Phelan,Grace McEvoy, Aisling Conroy, Ruth Clinton, Niamh Moriarty, Daniel Tuomey and several others.